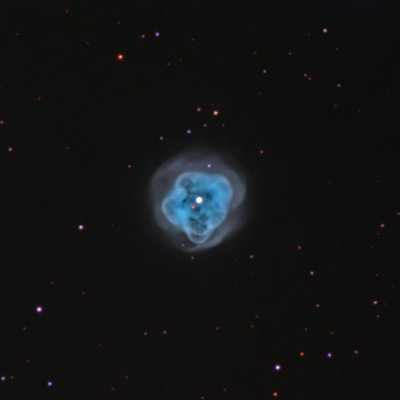 NGC1514, also known as the Crystal Ball Nebula, is a planetary nebula in Taurus. It was discovered by Herschel in 1790 and changed his view of these objects from an agglomeration of unresolved stars around the bright star to a "faint, luminous atmosphere" surrounding the bright star. The image is 35 ‘x 35′ and north is up. 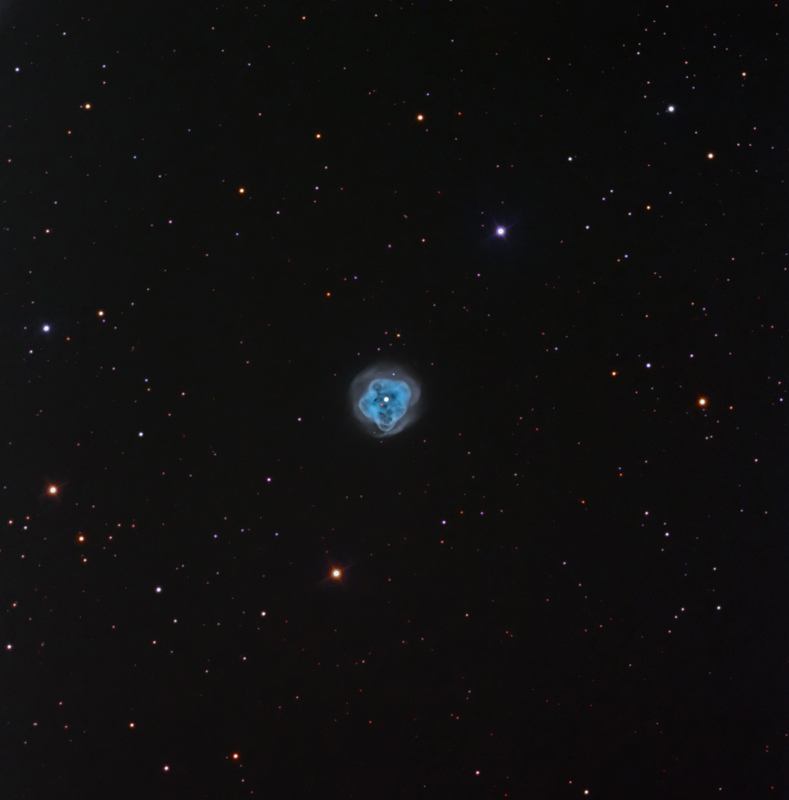 The additional detail in this image results from using ultra-narrow 3 nm Astrodon H-a and OIII filters. H-a was mapped to magenta-red and OIII was mapped to both blue and green. Short RGB images provided star colors. SII was not present in test images. 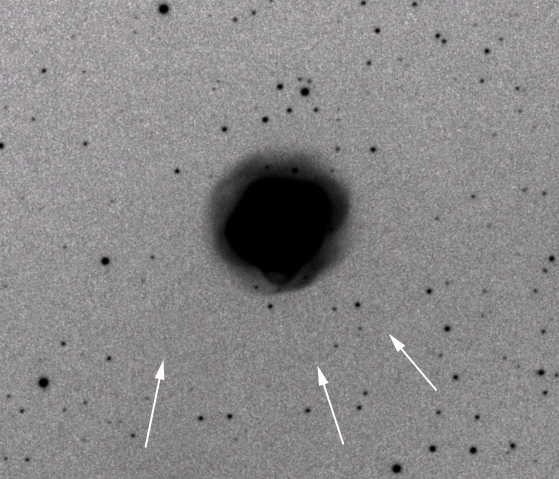 This image also shows the first halo surrounding the core from an early expulsive event. There is evidence of an even fainter halo (see arrows) extending ~ 3’ beyond the core in the following inverted 5hr H-a image.